PHOENIX – Gov. Doug Ducey on Wednesday signed House Bill 2569, making Arizona the first state to recognize out-of-state occupational licenses across the board. 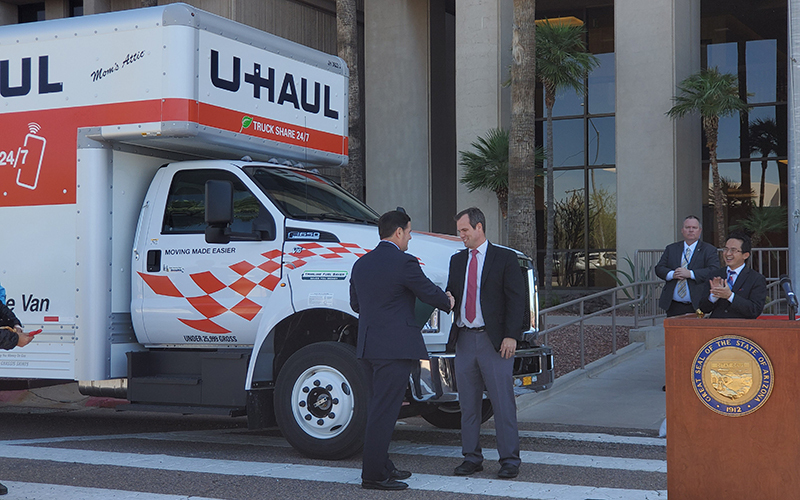 Ducey, who was driven to the signing ceremony at the Capitol in a U-Haul truck, said the law will remove barriers to employment for about 100,000 people who are expected to move to Arizona in 2019. 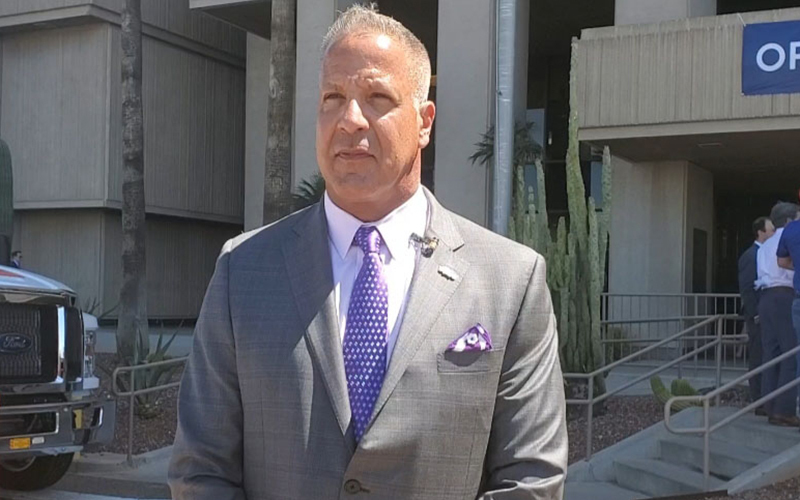 House Bill 2569 allows a person who has held an out-of-state occupational license for at least one year to practice their profession in Arizona as long as they abide by the outlined stipulations, including being a current certified or licensed professional in good standing, and do not have any pending complaints, allegations or investigations relating to unprofessional conduct. The law will affect industries that require a license to operate, including health care professions, teaching, accounting and engineering. Ducey, who has long championed deregulation, contends that a person’s skills are not diminished just by crossing state lines. The change will allow those who move from other states to “work faster and without all the red tape,” he said. Opponents say licenses ensure that professionals are trained to do their jobs safely, and they worry that newcomers in some fields may arrive from states with easier licensing requirements. Licensing generally comes with an education requirement, testing, paperwork and fees. Differences in requirements from one state to the next can make it expensive and time consuming to work when a licensed professional moves to another state. When the bill was narrowly approved in February by a 4-3 vote of the House Regulatory Affairs Committee, Democratic Reps. Amish Shah and Raquel Terán of Phoenix and Pamela Powers Hannley of Tucson voted no because of the bill’s broadness. Powers Hannley opposed it because the minimum duration of having a license was only one year, and what she called a lack of clarity in the residence requirement. Critics also say HB 2569 is a one-way deal, creating issues of reciprocity. 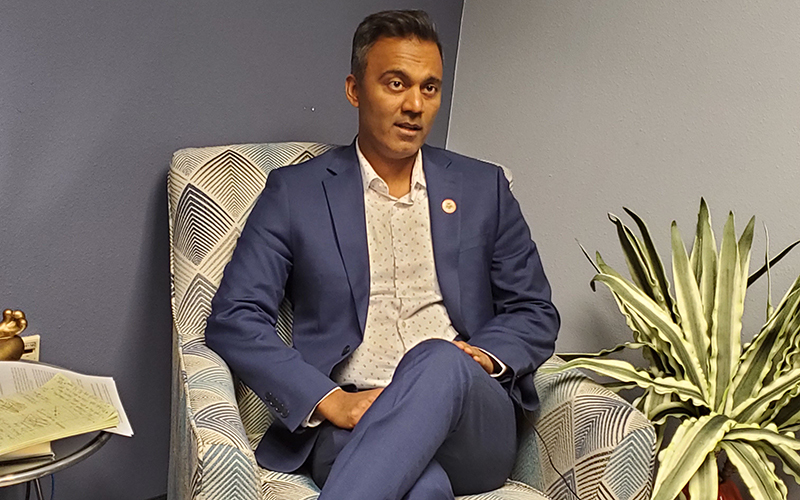 “In this case, however, it’s not reciprocity because anybody else would be able to come to the state of Arizona, but Arizona professionals would not be able to use their licenses in other states,” Shah said. On Wednesday, Ducey said universal licensing is the next step towards ensuring opportunity for all in Arizona. “You don’t lose your skills simply because you pack up a U-Haul truck and make the decision to move to Arizona,” he said.